On Sale Now! Free Shipping Included! 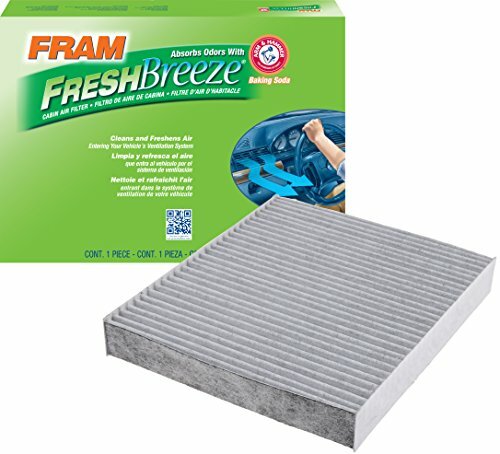 Save 4% on the FRAM CF10743 Fresh Breeze Cabin Air Filter with Arm & Hammer by Fram at Zona Indonesia. MPN: CF10743. Hurry! Limited time offer. Offer valid only while supplies last. FRAM Fresh Breeze Cabin Air Filters can keep up to 98% of road dust and pollen particles from entering your vehicle to improve your driving comfort. FRAM Fresh Breeze Cabin Air Filters can keep up to 98% of road dust and pollen particles from entering your vehicle to improve your driving comfort. Plus, it’s the only cabin air filter with Arm & Hammer baking soda and activated carbon embedded in the filter media that can help remove odors flowing through the vehicle ventilation system. If you have any questions about this product by Fram, contact us by completing and submitting the form below. If you are looking for a specif part number, please include it with your message.